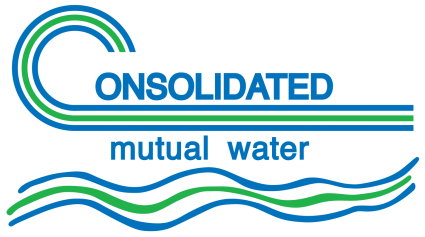 The Consolidated Mutual Water Company’s (Consolidated) backflow prevention program is designed to protect Consolidated’s water system from contamination or pollution caused by backflow from an owner’s internal or private distribution system. The backflow prevention program monitors the installation and testing of backflow prevention assemblies. Consolidated’s backflow program utilizes standards approved by the University of Southern California’s backflow prevention assemblies (approved model list available upon request). All commercial and multi-family residential properties of 3 units or more, per water meter, require a Backflow Inspection. If the installation of a backflow prevention assembly is required, the property owner is responsible to ensure that a representative from Consolidated is present during testing. The property owner is also responsible for having backflow prevention assemblies tested every year after installation. Be aware that Consolidated may require certified inspections at more frequent intervals (e.g. change of business use, or major changes is the use of water). A backflow prevention assembly must be repaired or replaced within 10 days if the assembly fails the test, at the owner’s expense. Any person who violates provisions of this program is subject to termination of water service until the violation is corrected. Contractors – be advised you are obligated to have adequate backflow prevention during construction, or other projects while utilizing Consolidated’s water lines. For further clarification, click here for our complete Backflow Prevention Policy. Effective immediately – The Consolidated Mutual Water Company no longer accepts backflow test reports not submitted on the backflow test web site. Click here to submit your report on the backflow test web site. Effective immediately Consolidated will no longer be accepting any backflow test reports that are not submitted on the backflow test web site.